A national oil company (NOC) is an oil company fully or in the majority owned by a national government. 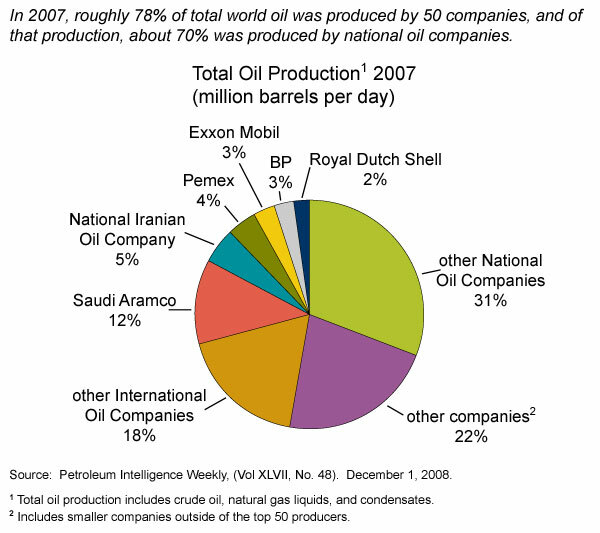 According to the United States Energy Information Administration, NOCs accounted for 52% global oil production and controlled 88% of proven oil reserves in 2007. Due to their increasing dominance over global reserves, the importance of NOCs relative to International Oil Companies (IOCs), such as ExxonMobil, BP, or Royal Dutch Shell, has risen dramatically in recent years. NOCs are also increasingly investing outside their national borders. Oil reserves are increasingly concentrated in OPEC countries and national oil companies OPEC countries and national oil companies already hold the majority of proven oil reserves, and the percentage of reserves they hold is increasing. 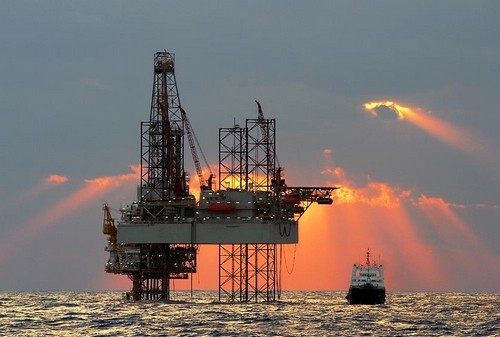 This concentration further establishes their future importance as major players in the world oil market and could potentially increase market tension and upward pressure on prices as world oil demand rises.